Im exited about Interstate 49 being signed in Mo. Better than being entered, I suppose. Must be an easily exitable person. I am when it comes to new highways. Where's the emoticon for 'over your head'? Kphoger--I have followed up on your suggestion and sent a letter to the editor via email. In his May 9 guest column, “An interstate we need and one we don’t,” blasting the Missouri Department of Transportation for waste and accusing it of playing a “shell game” in western Missouri, Fred Reiss makes a number of false and misleading claims about Interstate 49. First, he claims I-49 is bogus because it does not cross from Missouri into Arkansas. “Interstate” refers to the system as a whole and does not imply that every individual highway in it crosses a state line. Many, such as I-17 and I-19 in Arizona, lie wholly within one state. 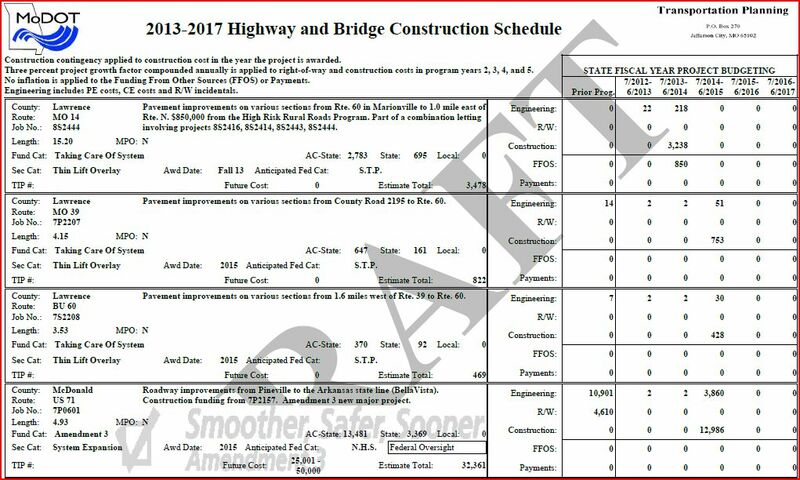 Reiss also claims to “do the math” on MoDOT’s recent I-49 signing contract, by dividing the $3.5 million low bid by 1,220 emergency reference markers to conclude that each reference marker costs $2,868.85. This analysis is flawed. In the low bid, the total cost of reference markers was $315,849.56, with the cost per marker ranging from $243.68 near Kansas City down to $234.18 farther south. These amounts can be verified by referring to the bid tabulations for MoDOT contract number 111021-G01, which MoDOT has posted online. The majority of the $3.5 million cost of the I-49 signing contract arises from large sign panels, many of which would have had to be replaced anyway to maintain adequate visibility at night. 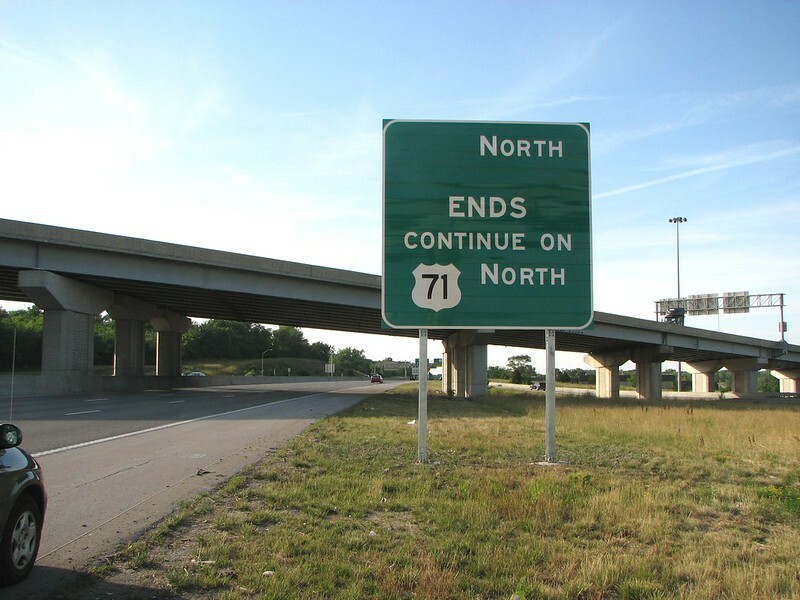 MoDOT is not without need to reform, but to imply that upgrading U.S. 71 to I-49 is a waste of money is to play a shell game on citizens who vote, but do not necessarily have the time to inform themselves of the issues. Engineers consider that upgrading highways to four-lane divided begins to be justified when average daily traffic volumes exceed 10,000 vehicles. U.S. 71 south of Kansas City exceeds this threshold, and converting it to an interstate costs little because long lengths of it are already freeway. Bottom line, I-49 not only is affordable to Missouri, but is also a good buy. Missouri Bella Vista Bypass Construction in MoDOT's 2013-17 Draft STIP? Is my interpretation of this project correct, or is it simply an upgrade to the existing US 71? I'm hoping AHTD got MoDOT to "bite" when it went through the letting process for the the second Arkansas Bella Vista Bypass project. I spoke with a MoDOT individual today and he confirmed that the above 2015 project in the Draft STIP is for the Bella Vista Bypass. However, it is contingent on whether Arkansas will have construction under way to the state line by that time. As he put it, there is no need to build it to a dead-end and have it sit for a long time. MoDOT already has the money set aside and will build the entire four lanes even if Arkansas has to stay at two lanes for a while. I believe that there is also an element of MoDOT trying to "encourage" AHTD to start construction to the state line. Heck MODOT "gave" Arky their share from Tiger II grants. Heck a new BVB would give Bobby Petrino a new place to ride his bike around. hold your breath and swallow twice. I was on 71/Future 49 between Nevada and Kansas City this afternoon. There are still a few at-grades in place along 71. Construction is progressing on the interchanges to replace these at-grades. Pictures forthcoming... hopefully this weekend. so no state-named 49 shields posted yet in Missouri? 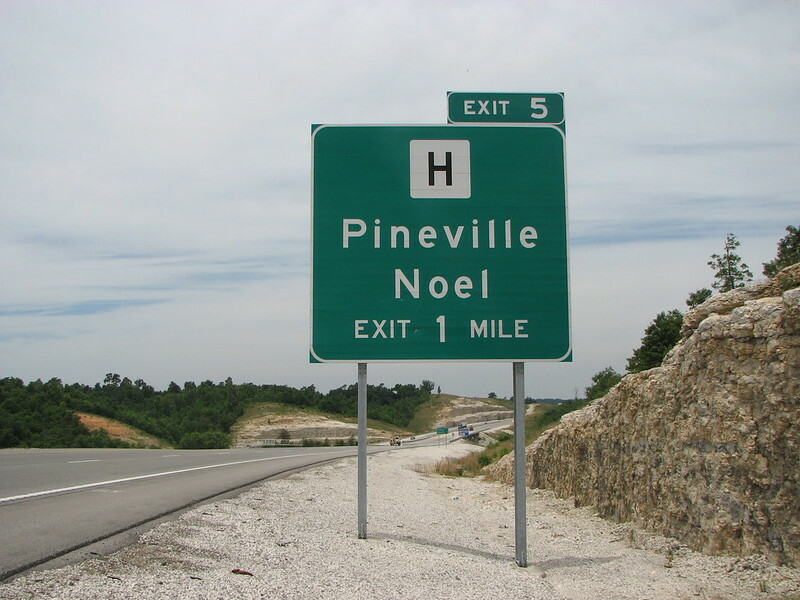 The southern-most exit posted is Exit 5 (Route H/ Pineville). There are numbered exits posted to just north of Carthage, resuming again at Archie but ending at Three Trails Crossing. There is an (unfinished) End 49 sign just past Three Trails, but mileposts continue to Bannister Rd. There is a possible signing error at 71/96 at Carthage. 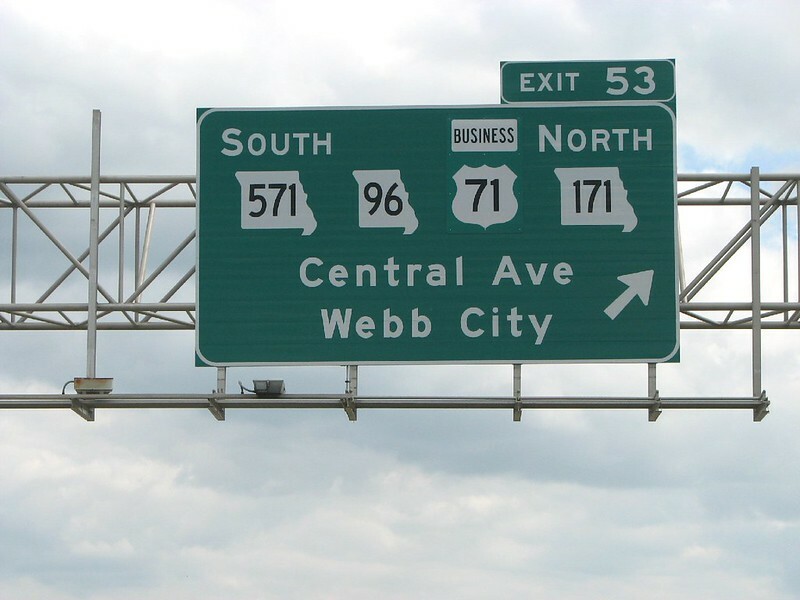 It appears the I-49 sign will have a "Straight Ahead" arrow rather than a left turn arrow on WB 96. I hope to investigate further sometime this week. There is no exit assembly yet, but the mile marker for NB 71 at Bus 71/Rt K /"To West 54" at Nevada is MM 101.0 at the ramp. I will have photos on Flickr either next weekend or sometime next week. I have "drive-by" photos of nearly every exit and close-ups of a few. If there are any, they won't be posted until I-49 becomes official. That's expected to be in December. So how many approximate miles does this leave to be constructed between the north end of I-540 and the south end of soon-to-be I-49? I don't have exact numbers handy at the moment, but I'd say 15 miles...maximum 20. I looked in an atlas and straight through on 71 it's 14 miles. Guess the bypass will make it longer by a good bit. Sad that a state DOT (AHTD or otherwise) can't come up with enough $$$ for a 15-20 mile, 4-lane project to bridge a gap in a major regional interstate. Especially when the economic long-term benefits really outweigh any short-term costs. Lol... Welcome to Arkansas. They can't even fix (much less, plan) I-540/Future I-49 in NWA. It's really sad. 71 will be a freeway one day. Yeah, I know there is a court settlement and all but court rulings are overruled every day. The demographics of the neighborhood could change. Residents die, new residents who have different views of the freeway will be born, residents will move into the neighborhood. It might not be built in my lifetime, but it will be built one day barring something like a total economic collapse or a nuclear war or some other catastrophe. 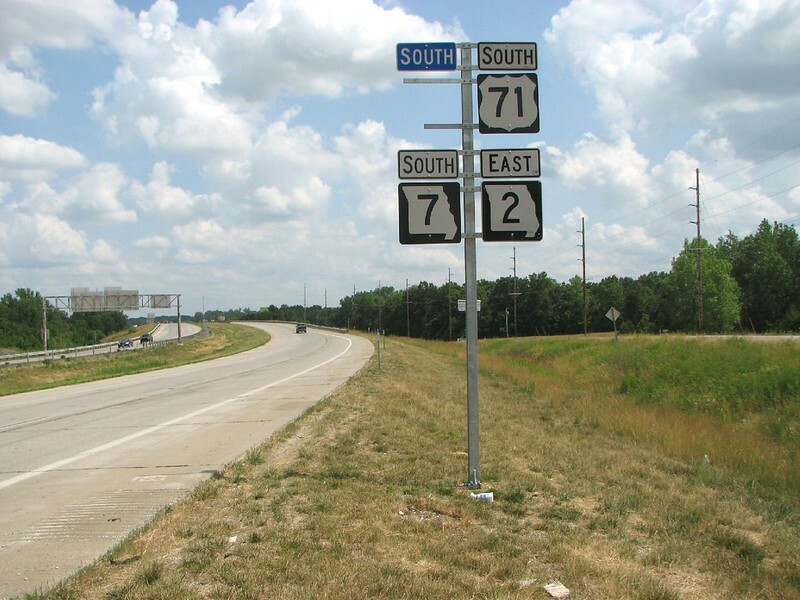 The U.S. 71 corridor begins in the downtown loop of Kansas City, Mo., and runs south along U.S. 71/Bruce R. Watkins Dr. through Kansas City and Grandview to M-150 near the Cass County border. This heavily traveled corridor includes not only the U.S.71 highway facility, but also Prospect Avenue and adjacent railroad assets. The purpose of the study will be to identify the preferred transit alternative that best meets current and future transportation needs while also helping to shape, support and focus future economic development and revitalization of activity centers along the corridor. MARC, KCATA, the city of Kansas City, Mo., and Jackson County intend to build extensively off of past work as well as the Commuter Corridor Alternatives Analysis currently underway. The team will use the study results to help develop a more comprehensive regional commuter corridor system and secure funding for implementation and potentially apply for federal funds. It seems to me that a freeway upgrade could be part of the solution to meet the Project Goals; maybe the day for a US 71 freeway will be sooner than we think. Planning is further along for the first two lines seen as the beginning of a metro transit system, probably based on commuter rail service. One line is from Kansas City into Independence, Blue Springs, Grain Valley and Oak Grove, and one is from Kansas City into Raytown and Lee’s Summit. But local officials have won federal money to pursue study of the Grandview line as well. As initially proposed two and a half years ago, there would eventually be six lines, probably meeting at Union Station, serving much of metro, including the airport. Still, if they studying how to revitalize neighborhoods along the corridor, then it seems like the study would need to at least mention current and future anticipated traffic flow along US 71 and all of the potential methods of addressing the traffic flow. We can only hope a upgrade is coming. It will be a day of celebration in KC when those lights go away. More Lights in Kansas City? 2. I would prefer a Bus BRT and a Light Rail line right down the US 71 corridor (Red and Blue). I think most of the congestion on 71 is from the Grandview, Belton and even Harrisonville traffic coming into the City. When it reaches Bruce Watkins Drive, there is a pinch point. I would hate to see this “grand boulevard” turned into a freeway with more roadway, whether it is designated for transit or not. Everyone adjacent to Bruce Watkins Drive uses US 71 for a different purpose than those commuters, and therefore deserve a separate mode of transportation. These two alternatives should go from downtown (and maybe one day cross the river into North Kansas City) to Bannister Road/Bannister Mall. 3. The final alternative is the DMU on the South Kansas City rail line to Bannister, Grandview and Belton/Richard Gebauer. To make this line competitive with driving your car, I think they need to make up that time for stops by going from Bannister directly into downtown. If we could remove these commuters from their cars, then we could relieve congestion at the pinch point and then even re-boulevard US 71 north of 51st (a big dream I know, but aren’t we deconstructing highways across the country?!) to make it more permeable and stitch back these communities that were ripped apart. I wonder if John Norquist is observing this process?